Welcome to my quilt patch! I am a quiltmaker, quilt teacher and pattern designer from Wild Wonderful West Virginia and Patchpieces is my quilt business name. 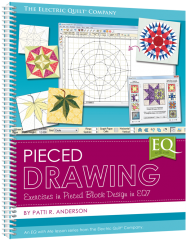 In the Pattern Patch you will find my original quilt patterns for sale. 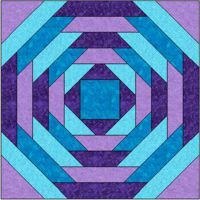 I'm just brimming over with ideas, so I share many of them with you as free blocks, projects and full size quilts. You will also find an abundance of information related to Electric Quilt software in the form of lessons, techniques and some creations just for fun. Enjoy your visit and come back often! this Pineapple block in EQ6/7! Check out my Sharing Patch for the original "No Waste Flying Geese" method, plus many other free patterns, tips and tricks to download.